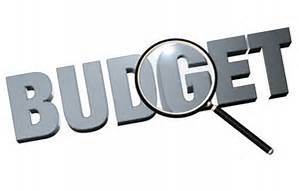 We are proposing a budget roughly in-line with last year’s. There will be no increase in the precept (£9,104) which we have kept at this level for the last 3 years. It is also significant that the Allotments will be close to breaking even for the first time. All this is due to our continued attention to maintaining low operating costs and tight control over our expenditure. The downside is we have accumulated over £60,000 in reserves and the external auditors have passed comment on this two years in a row. Accordingly we plan to create a capital projects list which will be earmarked against the reserves. It will represent a wish list that contains prioritised, costed, parish enhancements which we will tackle in the future. At the January PC meeting we will finalise and agree the budget and launch our capital projects plan. You can have your say in both because the details are on the website and on the noticeboards. Do let us know what you think.